Marinate Chicken Cut into slices in 1/2 the can coconut milk, 1 tsp sriracha, lime juice, and soy sauce. 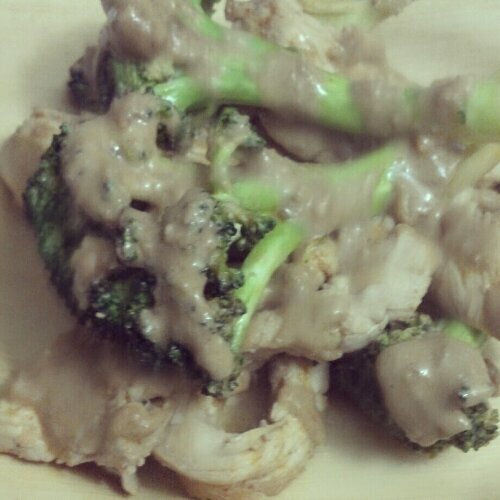 Served topped with as much Peanut Sauce as desired. Can also serve over spinach for more veggies!